Diwali is around the corner and I am sure you all preparing for the festival of lights. Do you all make sweets at home or get it from the market? I used to buy it from the market but for the past few years I have started making it at home. 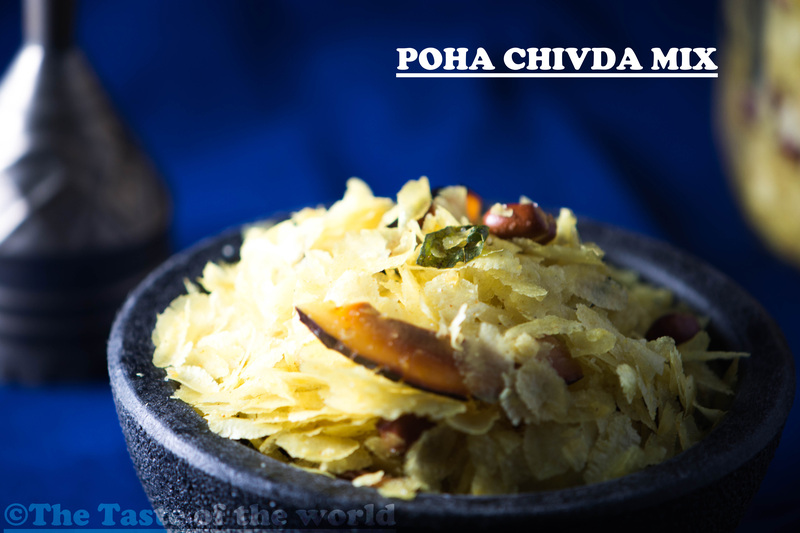 When we talk about festival, we always talk about sweets but about savory recipe called Poha Chivda Mix. I haven't celebrated the festival as I used to in India for the past 23 years. Here is US, we only do pooja and exchange sweets with family and close friends. Since the celebration is not like India, people throw Diwali parties and have friends and family over. I have made a few sweets in the past including gulab jamun, coconut ladoo, besan ladoo, quick kalakand. Do give it try if you haven't till now and share your feedback please. Poha Chivda is such an easy recipe when you are looking for fresh namkeen that can be made in less than 30 mins. My husband loved the freshness of it and enjoyed it. In a flat pan, roast the poha on slow heat for 5-7 mins or until crisp and set aside. Now in a kadhai, add the oil and let it heat up a little. To that add mustard if using, along with curry leaves, asafetida, raw peanuts, cashews, then in a couple of minutes add coconut slices. Now add salt, turmeric, red chili powder and sugar to the nuts. Add the roasted poha to it and mix it well on a slow heat. Make sure you stir it constantly to avoid burning. Let the mix cool down completely. Store it in the air tight container and it should be good for 3-4 weeks. Enjoy it with a cup of tea or anytime of the day when you are craving something savory. 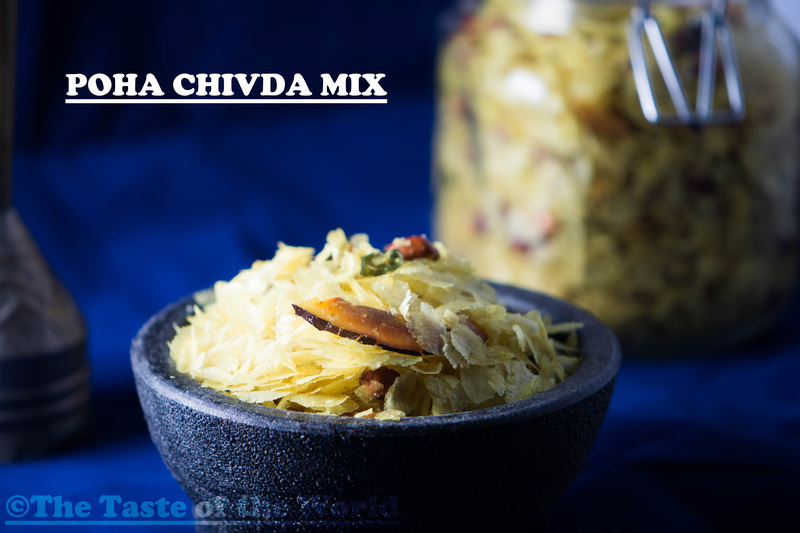 Poha Chivda Mix is an easy savory snack for Diwali, that can be made under 30 mins and can be enjoyed any time of the day. 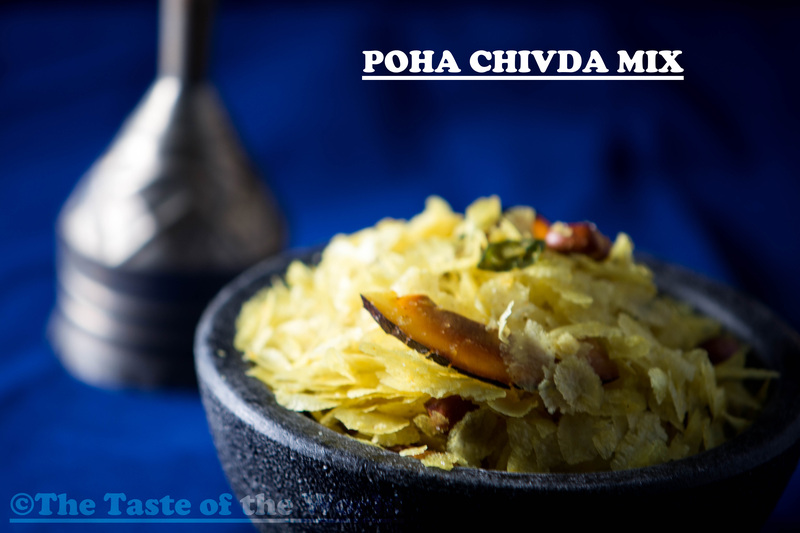 3 Responses to "Poha Chivda Mix"
I am so impressed that you made this – looks great!